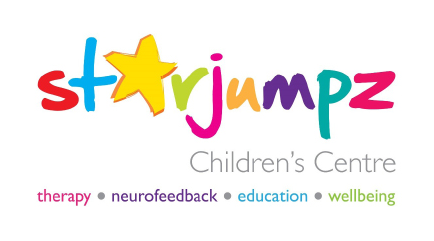 Starjumpz is a multidisciplinary holistic centre of excellence that provides pioneering services and treatments to children with learning, developmental, motor and behavioural challenges. The centre assesses, diagnoses, treats and supports children with Autism, ADHD, Sensory Processing Disorder, Dyspraxia, Dyslexia, Global Developmental Delay as well as neurological conditions such as Cerebral Palsy and children with Complex Needs. With a friendly, caring, highly specialist and experienced team of leading clinicians and therapists the centre empowers children (and carers) to overcome challenges, realise their full potential, build on strengths and inspire a positive mind set, leading to success and greater self-esteem. Starjumpz provides services to families in the south east and to children all over the UK and overseas for intensive treatment programmes. 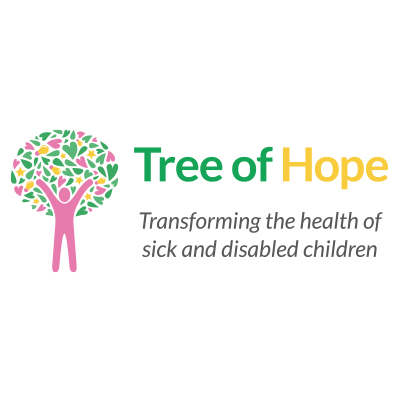 The Starjumpz Children’s Centre is based at the stunning newly refurbished and designed Tree of Hope building, The Old Saw Mill in Crowborough East Sussex. With beautiful views and peaceful surroundings, the centre provides a first class environment for assessment and treatment. Autism – Diagnostic assessment and multidisciplinary assessment with highly renowned Consultant Neurodevelopmental Paediatrician Dr Georgie Siggers. Multidisciplinary treatments include Sensory Integration Therapy, Occupational Therapy, Speech and Language Therapy, Environmental medicine which treats environmental factors affecting health such as nutritional deficiency and allergies, Behavioural consultancy and Neurofeedback treatment. Cerebral Palsy – Our experienced multidisciplinary team includes neurodevelopmental physiotherapists with extensive experience of working with cerebral palsy and in SDR rehabilitation. Training of parents, carers and teachers is key in the therapy approach. Treatment approaches include Functional Electric Stimulation and Galileo therapy to strengthen muscles and enhance bone density and counteract osteoporosis in cerebral palsy. Approaches used include the Bobath approach, use of Lycra garments and Sensory Integration in order to enhance sensory processing in children with reduced gross motor mobility. Therapists work with Paediatric Orthotists. Specialist Occupational Therapists help to develop functional, perceptual and fine motor skills and Speech and Language therapists work on oral motor skills, feeding and communication. Sensory Processing Disorder – Sensory processing difficulties are often present in children with conditions such as Autism, Cerebral Palsy, Complex Needs and Dsypraxia. Sensory Integration therapy involves the use of suspended equipment in a sensory rich environment. It enables children to become more efficient organisers of sensory information, thus alleviating the symptoms of Sensory Processing Disorder (SPD) and leading to improvements in behaviour, concentration, coordination, fine and gross motor skills, personal organisation and speech, social and academic skills. Pioneering treatments include Neurofeedback training which optimises brain function. It treats a variety of childhood problems that disrupt learning and development such as attention, anxiety, emotional reactivity and sleeping. It is the only centre in the South East to offer Neurofeedback treatment, in combination with other intensive therapies. Other cutting edge treatments available at Starjumpz include its’ Environmental Medicine Clinic, Integrated Listening Systems, The Interactive Language Programme and Functional Behavioural Assessment. A state-of-the-art, multi-sensory and sensory integration therapy room is also onsite creating a fun and unique learning environment for the children, especially those with sensory issues and Cerebral Palsy. This is where the centre’s Occupational Therapy and Physiotherapy takes place and is a room that all children love. For more information please visit www.starjumpz.co.uk or call 01892 660085.